Following extensive works, revegetation of the Castlewood Parkway wetlands area is close to close-out. 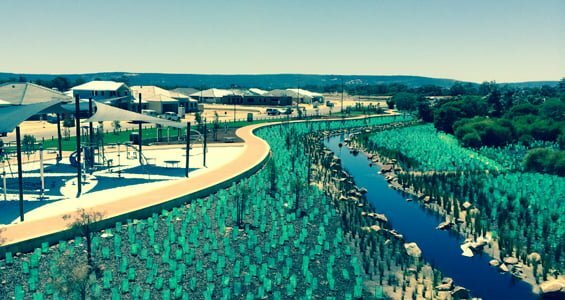 It’s been a busy project for our landscapers – over 40,000 plants, including 50 native species, have been installed since the project commenced in May 2014. The core of this wetland area has been classed by the State Government as a Conservation Category Wetland, with the north-eastern area defined as a Resource Enhancement Wetland. All work has been undertaken in line with an approved Wetland Management Plan designed to protect and enhance the wetland values of the site, including the safeguarding of fauna habitat for wetland species including birds, frogs and reptiles. Big thanks go out to our green-fingered ground force made up of personnel from Prime Landscaping and Tranen Environmental who have done a truly outstanding job. When you picture your ideal place to live what do you see? A beautiful family home on a large lot with the room (and rooms) for everyone to be together when they want or find their own space when they don’t? Stunning views across landscaped parkland? 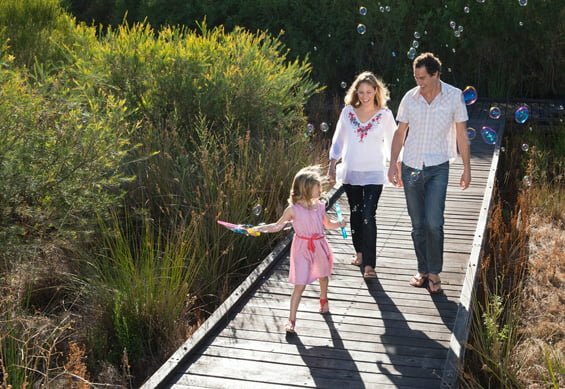 Play areas, walking and cycle trails right on your doorstep? A place so conveniently located that the school run is actually just a short walk? If so, then the latest land for sale at Bletchley Park’s popular Lane Gardens village might just be the place you have in mind. Stage 4 of this premium village features a limited collection of just 13 lots with sizes ranging from 375-640sqm. The release includes three show-stopping family homesites with park-facing frontages extending to 20 metres – we are talking serious wow-factor here. Lane Gardens is located a stone’s throw from a brand new primary school due to open in 2019 (the estate’s existing school is also just a short walk away). A pristine new park with kids’ play equipment, barbecues and feature landscaping, scenic wetland areas and Bletchley Park’s magnificent central lake are within a short walk too. To enquire about latest availability contact Estate Manager Matthew Scofield today on (08) 9490 9188. 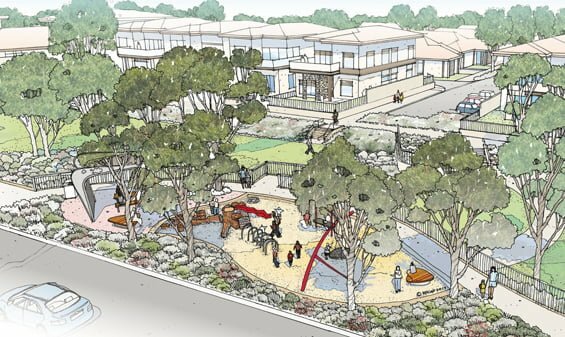 Bletchley Park shows that it is once again the first choice for land south-east of perth. 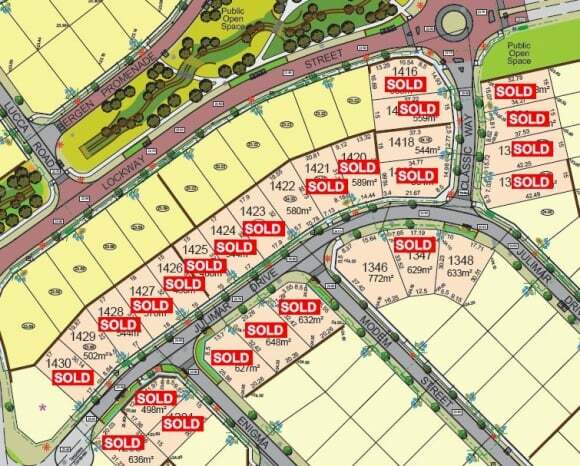 Time and time again we see that Bletchley Park is an ever popular choice for upgraders, investors and families because of the location, parklands, resale value and larger lots with our most recent stage – Lane Gardens Stage 3 almost selling out within a few short weeks. This release showcases family sized blocks 500-600sqm and a handful of easy care blocks 375 – 450sqm. It is just a short walk from our brand new feature park and future primary school. Pricing for these lots starts at only $299,000 with Titles are expected in April 2017. If you could see yourself calling Bletchley Park home then you must be quick, There are just a small number of lots remaining. The reviews are in.. Our new park’s a hit! 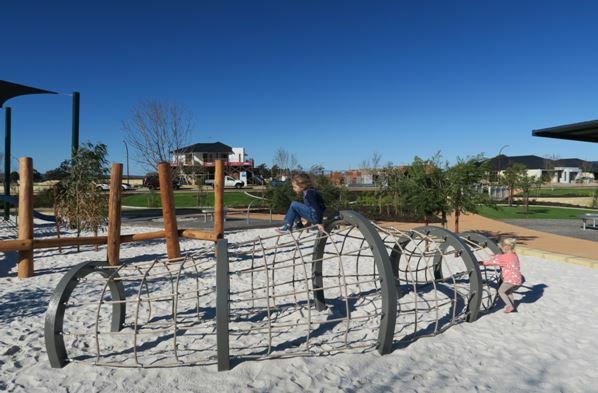 Kids around perth have tried and tested our new park and the reviews are in.. Its a hit! COME AND SEE BLETCHLEY’S BRAND NEW PARK! Even by Bletchley Park’s existing high levels of public open space, its newly-completed park at Lane Gardens represents a significant addition to the estate’s recreational assets. With a stream winding through it, family fun areas filled with children’s play equipment designed with an equestrian theme in a nod to the estate’s history as a horse stud, BBQ spaces, picnic shelters and kickabout zones, the park is the result of over two years’ detailed planning and community consultation – a process that has helped to shape some outstanding facilities as well as inspire some inventive engineering solutions. Whether its to kick the footy with the kids, walk your dog or just relax on the grass with a book in hand – you’ll love it! 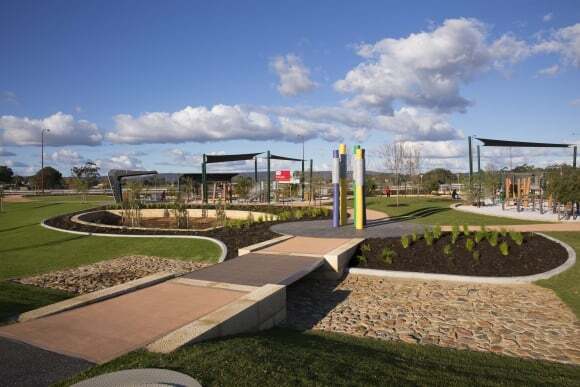 Come down and see it for yourself today, our park is located on Marnbu Road, Southern River (Off Balfour Street). WE ARE NOW A MAJOR SPONSOR OF THE EAST FREMANTLE FOOTBALL CLUB! Bletchley Park is now a major sponsor of the East Fremantle Football Club. The catchment for this football club district includes Southern River, Canning Vale, Haynes, Brookdale, Seville Grove, Forrestdale and much more. 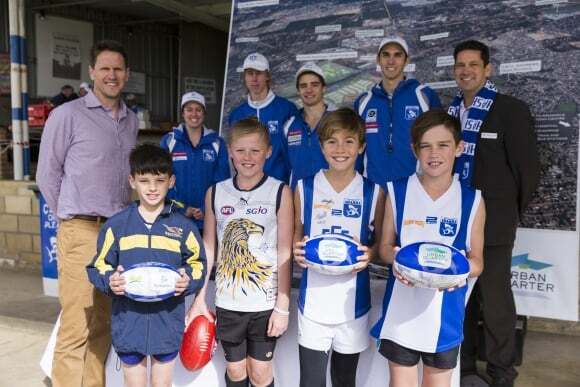 The local football teams within this catchment are all run by the East Fremantle Football Club, which is why we chose to be a sponsor of the club, we are passionate about supporting our local community! At the age of 14 a select number of talented kids within the East Fremantle Catchment will be taken into the ‘Development Squad’ to further develop their skills, from there they are able to train to play in the WAFL and even be recruited to the AFL if they are selected. LANE GARDENS PARK COMING SOON! In a few short weeks our Brand New Lane Gardens park will be completed! This 1.2 hectare park is going to be the place to be in Bletchley park, There will be picnic areas for all your family & friends, large grassed area’s to hone in on your footy skills, as well as an awesome playground for the kids to enjoy. Make sure you head down at the end of this month to go and check it out! After ten years in business, Wallis Property, development managers at Bletchley Park, have a new name (Urban Quarter), office address and website (urbanquarter.net.au). Behind our new name and look we’re still the same company, owned and run by the same people with the same passion, principles and dedication to detail that, over the last decade, have seen us grow from a small consultancy to a business now established among the top echelon of WA land developers. We’ve had a wonderful ten years as Wallis Property and would like to thank all our clients, associates and customers for helping us go further than even we had imagined. We look forward to sharing in more success with you as we move forward as Urban Quarter. LANE GARDENS STAGE 2 RELEASE – ALMOST SOLD OUT! The latest release at Bletchley Park – Stage 2 of Lane Gardens – has all but sold out in two weeks. 28 lots were released and with only four remaining, we are thrilled at the level of excitement in the market for families to call Bletchley Park home. Demand has been strong, with upgraders and families eager to secure bigger blocks to build their dream home. Contact Matt today on 9490 9188 to secure one of the remaining lots! As a little Thank you for choosing Bletchley Park, our New Residents enjoyed a movie night under the stars last Friday. 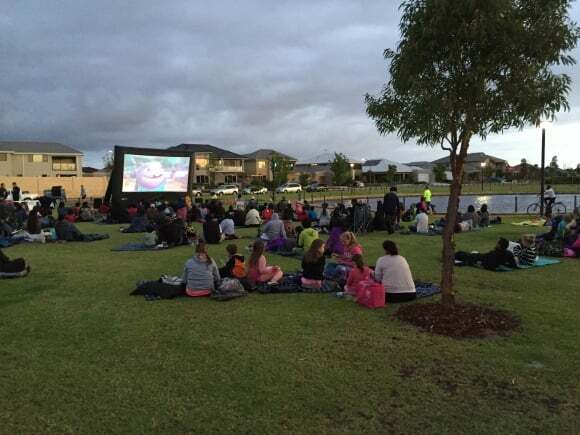 Our movie night brought hundreds down to our Central Park to watch the dreamworks movie ‘Home”. The movie shows how ‘Oh’ an animated alien discovers the true meaning of the word HOME. Kiddies (& some adults) loved our free lolly bags with families appreciating their free family picnic rug.